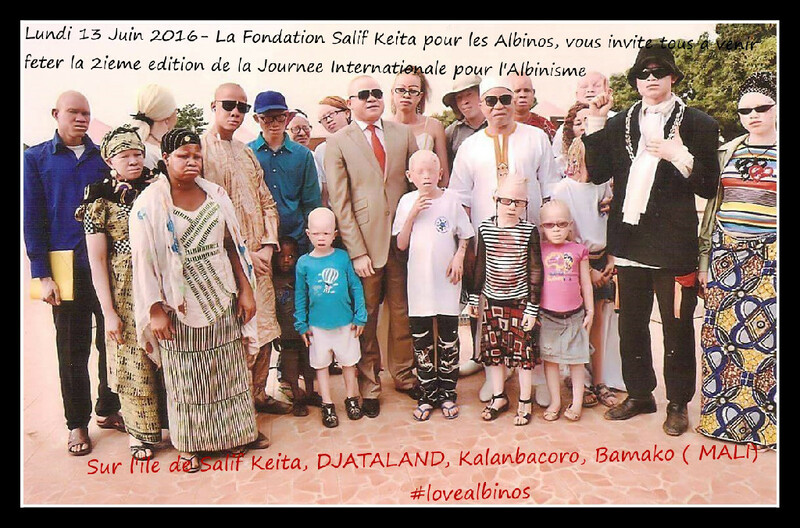 Please check here regularly for WORLDWIDE events for albinism awareness and The Salif Keita Global Foundation Inc.. Thanks for your continued support! 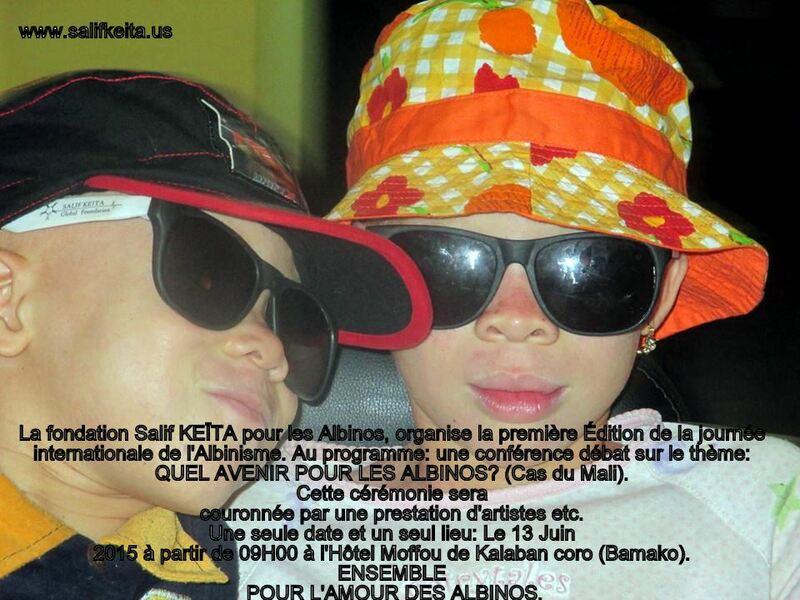 In honor of the 1st International Albinism Day, join the Salif Keita Foundation for Albinos in Mali at Salif Keita’s Hotel Moffou from 9am for a debate on the future of albinism in Mali, a concert, food, donations and much more. Click to see all 2014 concert dates! 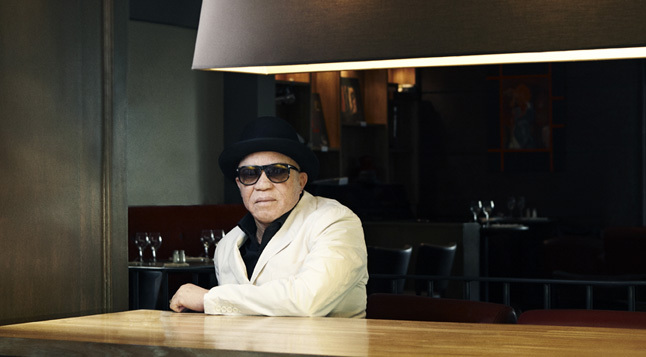 Salif Keita is on the road to present his acoustic live set, reinterpreting his classics in a more intimate formula. 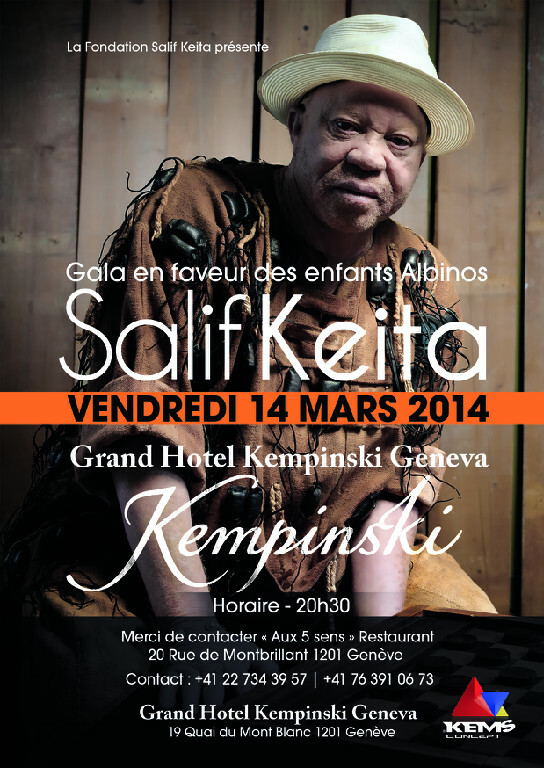 Read more about Salif Keita below. 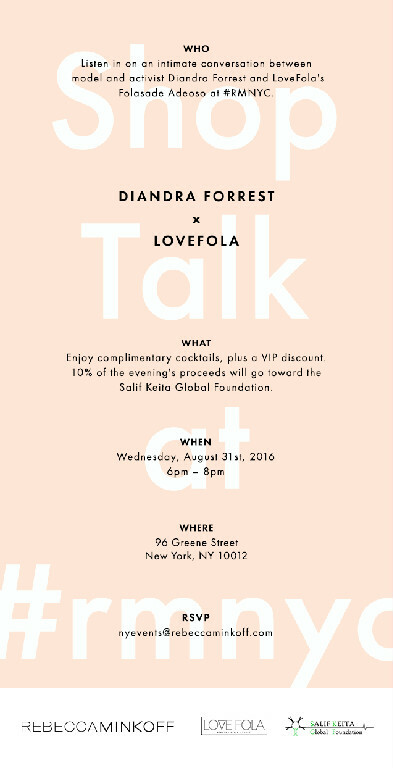 The Acoustic Tour is also the occasion to promote the Salif Keita Global Foundation, a non-profit organization founded in 2005 in order to the assist persons with albinism (PWA) at a global level. More about it here. Salif Keita gave up a lot to pursue his dreams of a career in music. Born albinos, he was cast out by his family and ostracized by the community. In Mandinka culture albinism is seen as a sign of bad luck and there are beliefs that it’s a mark of the devil. From a royal lineage, with ancestral roots going back to Soundjata Keita, the founder of the Malian Empire in 1240, Keita was disowned by his father after announcing his plans to play music. Keita’s dreams, however, were too strong to be shattered. Moving to the capitol city of Bamako in 1967, he was soon playing in nightclubs with one of his brothers. Within two years, he was invited to join the Rail Band. Then he joined Kate Manfila and formed Les Ambassadeurs, one of the most important west african band that opens the way for the following generations of african musicians. The ‘golden voice of Africa’ Salif Keita has been at the forefront of modern Malian music for many years. Keita has extended musical frontiers and carved out a distinctive musical voice, in which rock, funk and jazz combine with the deepest West African griot traditions. After a first decade spent travelling through Africa and building his reputation, he makes himself known on the French scene in the mid 80s. He has received musical as well as political and humanitarian acknowledgements, and, throughout his life, has tried to transmit a message of peace through his stunning music which has dictated the standards of contemporary mandingo creation. 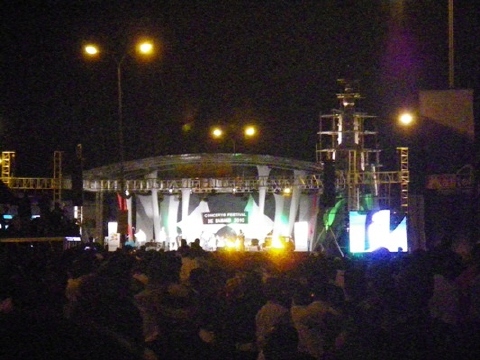 The accoustic tour recounts Salif Keita’s career, picking up classics from his impressive repertoire. After a few years spent exploring new musical styles and mixing his music with electronics, he returns today to a more intimate and acoustic formula, a return to his roots, and offers a sensational retrospective on his entire career which demands utmost respect. Accompanied by four musicians (guitar, kora, n’goni and percussion) and two backing vocalist, Salif Keita presents an intimist show and plunges the audience in the heart of modern Mandinka soul. in the Beer Festival …. we’ll try again! 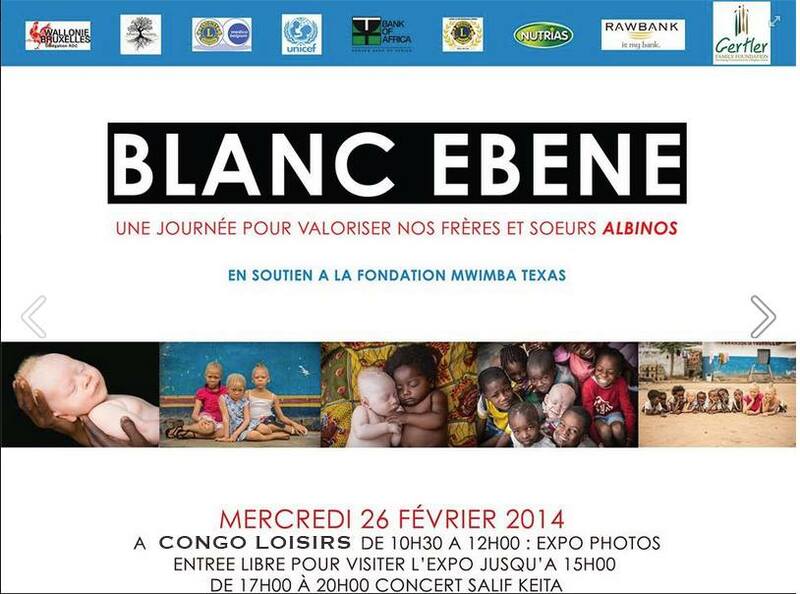 To raise awareness about the plight of albinos in Africa. Come eat, play and listen to music!! …. to celebrate the beauty of the “DIFFERENCE”! 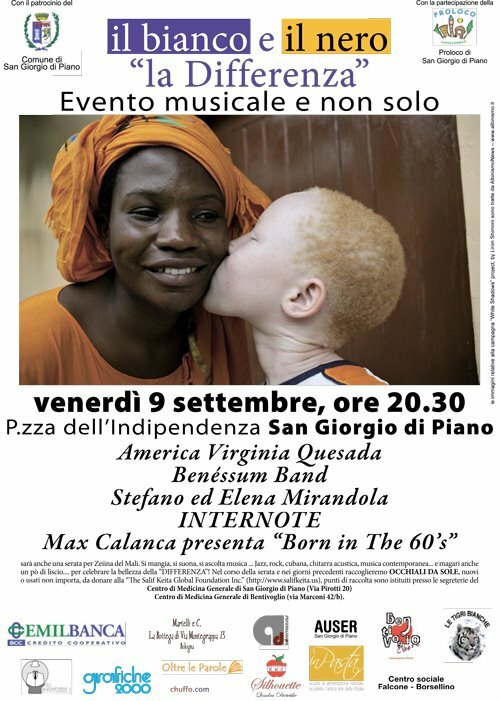 calanca,Stefano and Elena Mirandola, America Virginia Quesada, America with Born in the 60, ‘Benéssum band,Elena Mirandola, their friends and the wonderful community of Bologna that partcipated in the event to support our foundation and albinism awareness!